Equipped with seven 4 watt tunable white LEDs, the Cameo Flat 1 TW allows you to vary the white temperature from 3,400 to 7,000 K. This permits perfect adjustment from warm and subdued to cool and ultra bright tones to cover all scenarios that require white light. 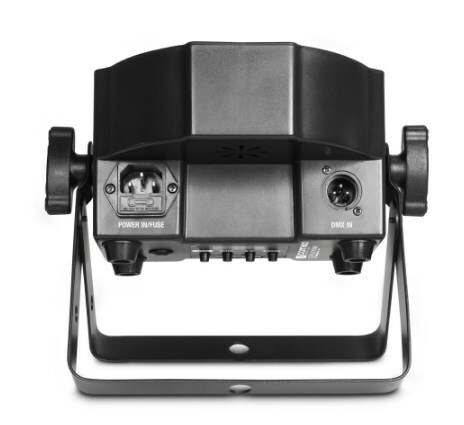 With high-efficiency convection cooling, the shallow-depth, 25° beam spread PAR light’s operation is absolutely noiseless making it an ideal choice for illumination tasks in shops, restaurants, bars and discotheques. Sporting a high 3,000 Hz refresh rate for flicker free performance, it is also perfect for motion picture and TV applications. 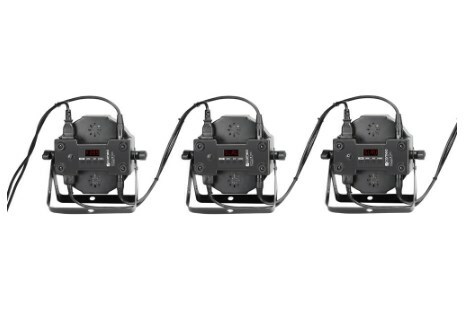 The Flat 1 TW provides 4 modes of DMX control, sound activation or automatic operation plus master, slave and standalone capability. 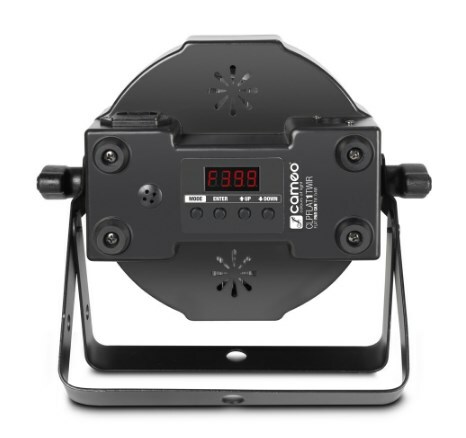 It features a 4-button display for easy configuration, a high-speed strobe and dimming with a selection of 4 curves and halogen lamp-like or standard LED response. A convenient infrared remote control is available as accessory. 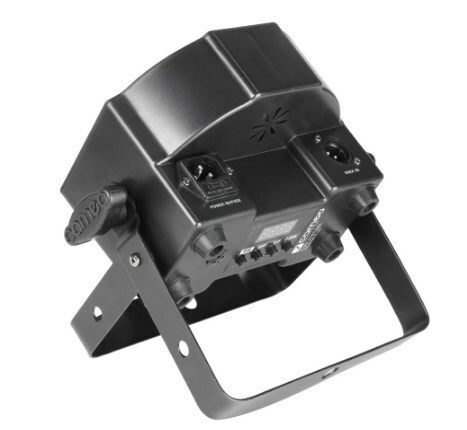 The compact ABS housing comes with adjustable twin brackets and sports 3-pin DMX plus IEC power inputs and outputs for daisy-chaining a maximum of 10 units. The Flat 1 TW is also available in black (item no. CLPFLAT1TW) or white versions (item no. CLPFLAT1TWWH). Average LED lifetime:	50000 hrs.